Hello and welcome to a ‘new year’ for the Montana Library Association! I’m looking forward to serving as your association president, but I have some big shoes to fill. Dawn Kingstad provided us with a fabulous year of finding our inner superhero. Continuing on from her fine example, this next year will focus on advocacy—personal advocacy for ourselves, professional advocacy for librarianship and library work, and political advocacy for our libraries. I’m looking forward to our keynote in Billings, Erica Findley from EveryLibrary, who will help us realize these goals. The conference will be March 29-April 1, 2017, in the newly remodeled Northern Hotel and Crown Plaza in downtown Billings. I hope to see you there! Before we get to conference we’ll have a lot of other events. 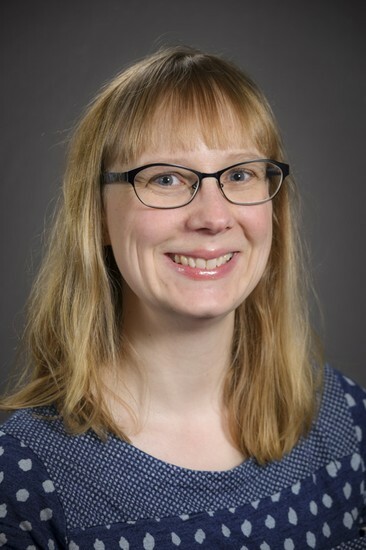 The school library division retreat on August 5 at MSU Billings will be a great time for many of you to connect about issues affecting teacher-librarians. The annual PLD/ASLD retreat at Chico in October is in the planning stages. Check in at mtlib.org for the latest information on both. And if you have ideas for other professional development opportunities, or improving the ones we do offer, please get in touch. Library workers and libraries in Montana are accomplishing great things and can do so much for our communities. I got to talk with many of you at the conference in Missoula in April about what you’re doing and what you’d like to do, and MLA wants to help make it happen. If you have any ideas about how the association can help you do your job better or help your library be more effective, or questions about how you can get more involved in MLA, please feel free to email me, call, tweet at me or friend me on Facebook. I look forward to working with you to make this year great! I want to thank all of you for one of the best years of my life. Words cannot express the gratitude and appreciation that I have for each and every one of you. Thank you for letting me be your MLA President. This year has shaped my life in so many ways. I have gained valuable insight and knowledge from working with the best library professionals in the world. I promise that even though my term is completed I will continue to work beside you and the rest of our community on projects that will positively impact our libraries and library issues that will guide us into the future. 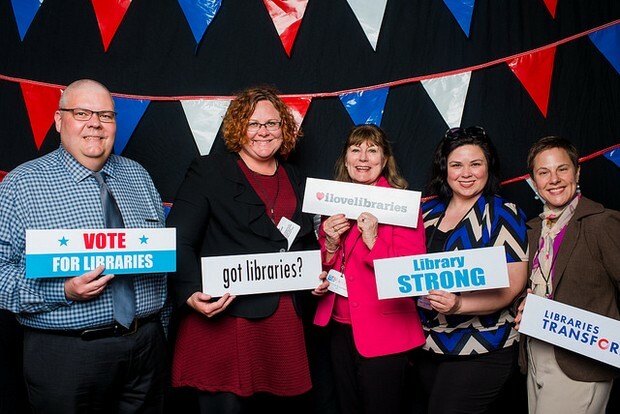 One of the most valuable aspects that I have learned the past few years as your Vice President Elect and President is that one person can make a difference and a group of library professionals can move mountains! When I started this journey I shied away from anything to do with issues that involved interacting with government. I didn't feel qualified and polished enough. Going to Washington, DC with our state librarian, Jennie Stapp and other brilliant, amazing representatives from our state; I got to see first hand how our voice can shape the future of Montana libraries. Starting June 1, 2016, Samantha Hines becomes the MLA President and I am so excited to see the direction that she will lead us this year. Samantha brings so much knowledge and experience with her as she begins her term. It has been such a joy to work beside her this last year and she went above and beyond in her duties as Vice President Elect. Her time and effort that she put behind the scenes at the last conference was awe inspiring. I can't wait to assist her in making this year's conference even better than ever. Samantha has been busy planning the MLA Board Retreat and I cannot wait to attend. The quality of the MLA Board is awe inspiring. Lisa Mecklenberg Jackson is this year's Vice President Elect and she brings 19 years of experience of working on various MLA committees, MLA Projects, and has been elected to multiple board positions. Personally, when a MLA member mentions our Cates events I always think of Lisa. I have seen Lisa at numerous MLA Conferences giving her time and expertise. I have always admired how brilliant and knowledgeable she is and was so grateful that she tackled the MLA by-law revision for MLA a few years ago. This year's ALA Representative is Matt Beckstrom. For years Matt's name has been synonymous with MLA's Offline. Like many others, I have attended Offline for the Matt and Ron show. I have taken voluminous notes while attending his tech-filled sessions and am so grateful that we have individuals like Matt that give their time and effort to assist us in keeping current on technological issues. I can't wait to see Matt bring this passion and drive to ALA. I will be looking forward to seeing what suggestions he has for the new year. Our Secretary-Treasurer for this MLA year is Mary Guthmiller. I just met Mary this year, but many of you have gotten the privilege of working with Mary before. She has given her talents to MLA in many different capacities. At this last conference she stepped and took notes at one of our meetings and had them to Debbi the next day. I know Mary will be a great addition to the board and I can't wait to get to know her better this next year. Conor Cote is MLA's Director-at_Large West. Conor is the Electronic Resource Librarian at the Montana Tech Library in Butte. He also serves as a reference and instruction librarian and manages the college's institutional repository: Digital Commons @ Montana Tech. I can't wait to hear his fresh, new ideas for the organization. I could not end my last President's Message without thanking Debbi Kramer. I knew that Debbi worked tirelessly for MLA but not know the extent until this year when I assisted with this last year's conference. MLA members are so lucky to have such a competent Executive Director. Debbi thanks for making my year as President run so smooth. Thank you all for a life-changing year! I love my library family. Have a wonderful, busy summer. I am now off to host our Summer Reading Kick-Off Party. We are expecting over 350 people and this is why I am a librarian--because of the people. 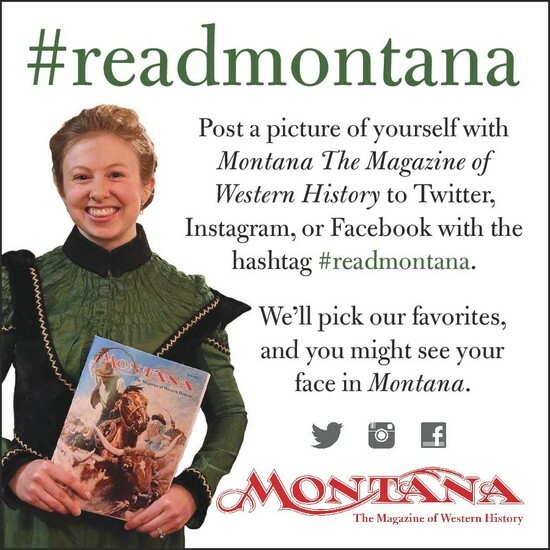 - Tammy Ryan updates us all on how the Montana Historical Society is using social media to stay ahead of the curve. - Heard of Christopher Paolini? Tim King brought him to Livingston-Park County Public Library for a special writing workshop. 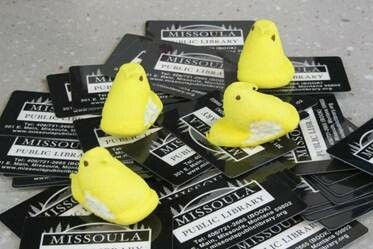 - Pam Carlton and Caroline Campbell teamed up to bring art to the “Peeple” in the form of a sugar-sweet Peep Show at Missoula Public Library. 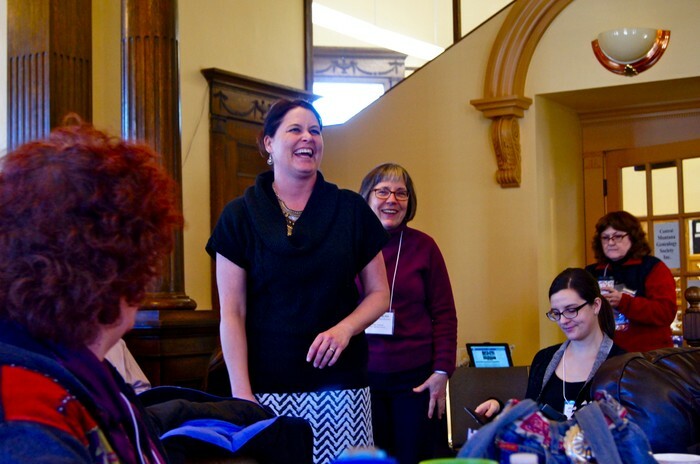 - The Americans with Disabilities Act offers a lot of opportunities for libraries to adapt and extend their reach, as MPL librarian Leah Hammerquist reveals. - Recycling doesn’t have to be a trial, reports Mary O’Brien of North Lake County Public Library. - Aspen Bassett uncovers the exciting truth about going to work in the Flathead during the month of May. In celebration of a phenomenal 2016 MLA conference in Missoula, your FOCUS editors asked conference goers "What would you like to see happen in the coming year?" You will find these sound bytes interspersed throughout the FOCUS. 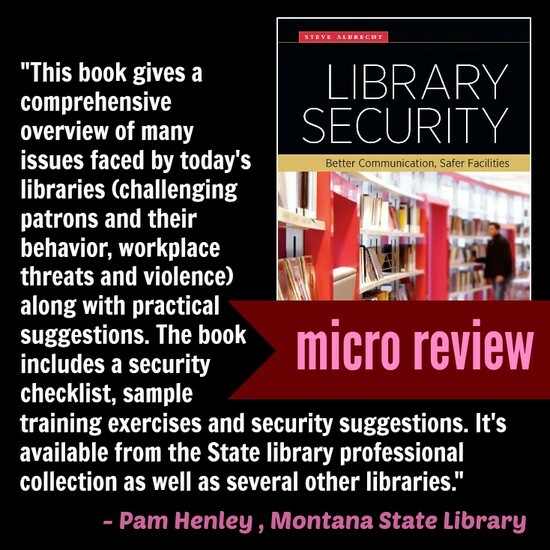 They reflect the diversity of personality & opinion within the community of Montana librarians, not the official stance of any specific library. As the co-chair of the MLA 2016 Conference in Missoula, I wanted to say a HUGE THANKS to several people. Without these individuals the conference wouldn’t have been the success it was! There are so many people to thank, and I’m sure I’ve forgotten some of you—I appreciated how much help I got with this process and how well it all turned out. And a special HUGE THANKS to all the attendees, vendors and presenters who came to Missoula in April. Thanks so much. Probably the most important thing I learned at MLA this year is that we all share the same enthusiasm, commitment and concerns when it comes to our library community. We all want to contribute what we have learned and are appreciative of what we can learn. All of the workshops I attended were exceptional and to choose a favorite would be impossible. The presenters and topics were diverse and informative. 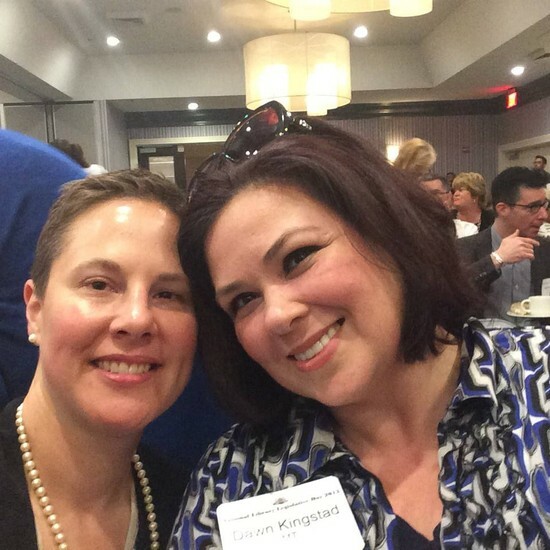 I look forward to re-connecting and meeting new librarians whenever I am fortunate enough to attend MLA. This year, having it in Missoula, enabled two of us to attend as I didn't have to schedule extra staff to cover for an entire two days of traveling. I actually networked with several staff from many libraries. I enjoy meeting new people and reconnecting with those I've already met. Laughter is good for the soul, and I must admit the Gates Scholarship night was quite possibly the most refreshing, fun-filled, "good for the soul" stuff I've enjoyed in a long time. It was nice to meet some of the vendors and discover what new products were available. The staff person who attended the conference with me won a bookbag & books from "Bound to Stay Bound" books, so of course we felt that was perfect interaction! All in all, it was a wonderful, well-planned and enjoyable conference! Gwen Florio was nominated for a Pulitzer before she moved into writing fiction. She has since authored Montana, Dakota, and Disgraced--all award-winners. 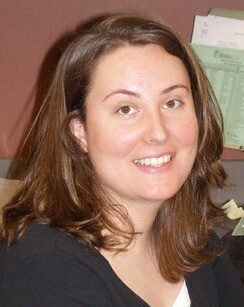 You can keep up with Gwen Florio and her work through her personal website, gwenflorio.net. Registration is open: MPLA is joining with Colorado Library Association for this year’s joint conference: MPLA/CALCON16. The upcoming conference Innovate, Inspire, Connect, is set forOct. 20-22, 2016 at the Embassy Suites in Loveland, Colorado. Click HERE to register. MPLA Professional Development Grants are Still Available! Have an idea for a great program at your state library association conference, but don’t think you can afford to attend? 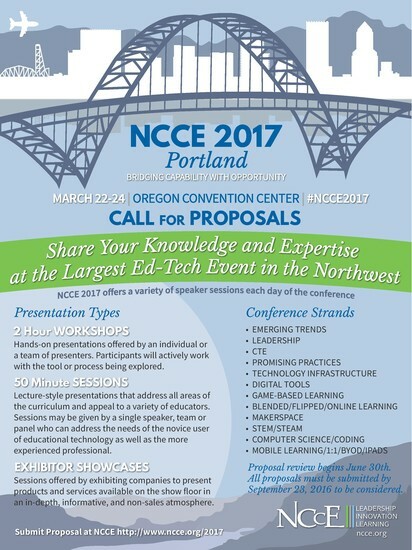 Or is there an upcoming regional or national library program that would enhance your professional development, but you need a little extra funding in order to attend? Please remember our upcoming conference! Registration and program information are available at www.pnla.org/conference-2016. ASLD & PLD : Save the Date for Chico! The Montana Library Association’s Academic & Special Libraries Division (ASLD) and Public Library Division (PLD) will hold its joint retreat at Chico Hot Springs on Sunday, October 16 – Monday, October 17. 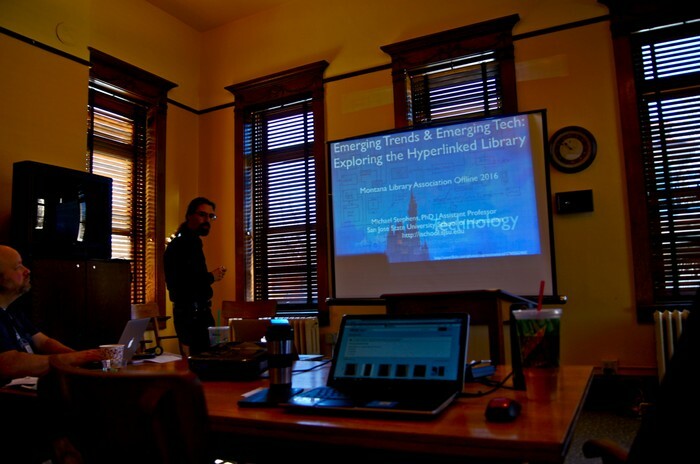 Chico is an intimate and inspiring setting for multi-type library networking and collaboration. Stay tuned for session info and more from your conference organizers, Mitch Grady (PLD Chair) and Cara Orban (ASLD Chair). This year's Teacher-Librarian Retreat is open for registration! Early-bird registration for MLA members ($15) closes on July 11th, but you can register for the usual price ($25 for MLA members, $50 for non-MLA members, and $40 for members of the School Library Division only) up until the retreat begins at 9:30 AM on Friday, August 5th. This year's program is packed with exciting events, and we really hope you can join us at MSU-Billings to learn and share ideas about K-12 libraries! INTRODUCING: Your New Director at Large (West) ! 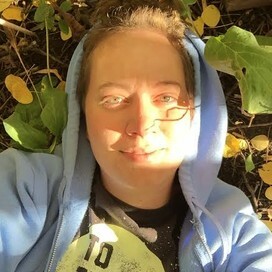 Hello, I’m Conor Cote – incoming Director at Large-West for the Montana Library Association. 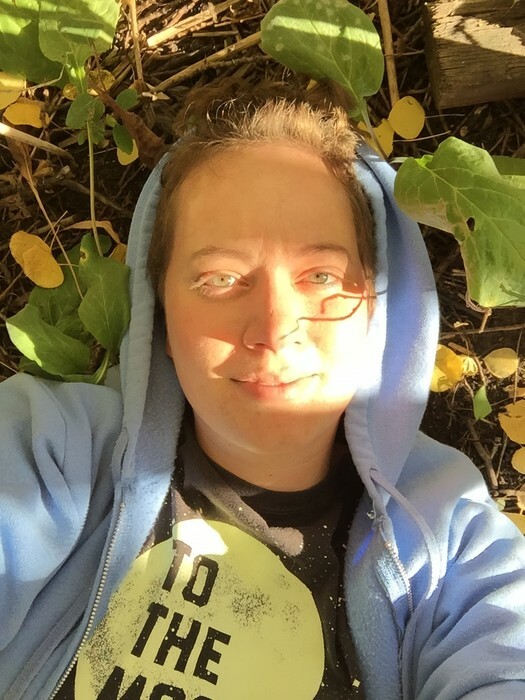 I’m an Electronic Resources Librarian at the Montana Tech Library in Butte, MT. I grew up in Montana and consider myself very fortunate to be able to work in this wonderful state. My interest in libraries goes as far back to high school, where I began as a volunteer at the Parmly Billings (now Billings Public) Library. What I most enjoy about MLA is the opportunity to communicate and collaborate with librarians of all types who share a common goal of serving the people of Montana. If you are not a member of MLA – there’s never been a better time to join! I’m looking forward to this coming year’s slate of MLA sponsored events, including the MLA Conference 2017 in Billings. Hope to see you there as well! No matter where you are, dozens of Montana Historical Society programs, hundreds of historical photos and stories, instant research opportunities, interaction with staff, and much more are just a click away through the power of social media. The MHS uses Facebook, Twitter, Instagram, YouTube, Pinterest, and Soundcloud, and a couple of blogs. Facebook – In a nutshell this is the “hot gossip” place to go. You can find out what is going on behind the scenes at MHS and get sneak peeks of the collections and historic photographs. Twitter – This is a place to get quick information on events and collections at MHS and let the staff and other followers know what you think about it. Instagram – You’ll find photos of some of the most visually interesting items in the collection, including historic photographs. You’ll also find behind-the-scenes snapshots of MHS staff at work. YouTube – This is your gateway to streaming video of MHS programs and other events when you weren’t able to catch them live. There are currently over 200 programs and events posted for your enjoyment. You’ll also find short videos of staff members showing and telling about their favorite things in the MHS collection. Pinterest – This is where you can explore MHS exhibits (and other resources) online. Soundcloud – This site allows you to listen to the programs and lectures given at MHS. The site also has dozens of short “History on the Go” stories about Montana recorded by MHS Research Historian Ellen Baumler. Eckerle said in addition to reaching out to people across the state and nation to tell the Montana story, there are two main goals behind MHS social media. A few years ago, with the help of some friends, we started a writing group at the library. Several of the members of this group had started to teach seminars about writing which the library helped to promote via our Facebook page and the Library's webpage. 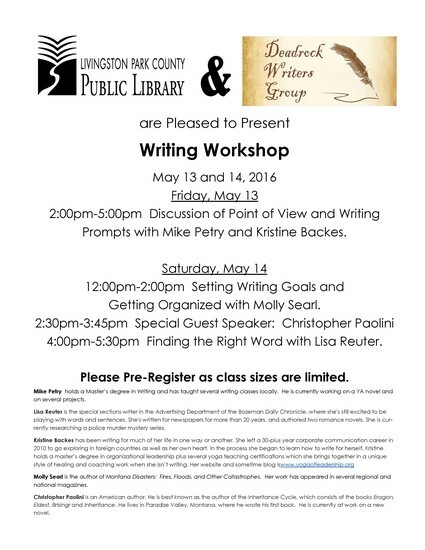 So again, with much help from friends, we decided to host a Writer's Workshop this past weekend at the Library. Four instructors donated their time, and I asked Christopher Paolini, author of the Inheritance Cycle to speak on writing. 2 days, 3 classes and one lecture later and a successful program was completed. A library volunteer who is also a writing group member provided wonderful food for the group. Except for staff time, printing flyers and some work setting up the room, the entire program was free to the library. Just look around your community, I am sure you can find talented people willing to share their knowledge and you too can have a workshop. I am including the flyer I printed up and posted around the Library, on Facebook and the webpage. I also had a blurb in the local paper in the community section but that is the only outside advertising I used. Most of the interest came from word of mouth advertising. 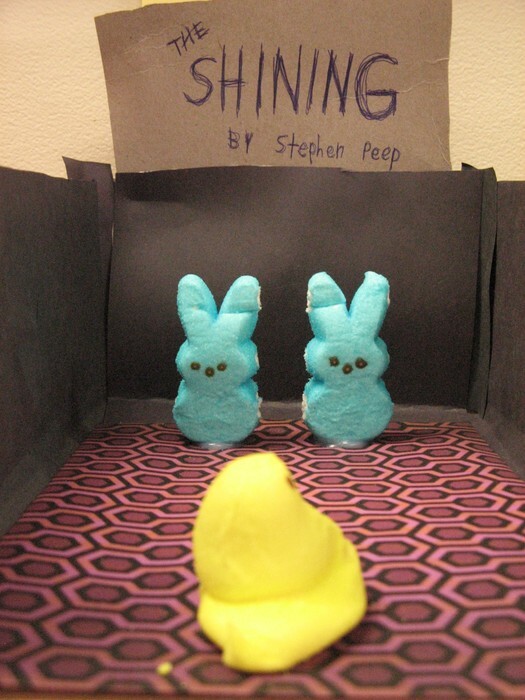 This spring the Missoula Public Library (MPL) hosted a Library Peep Show based on The Washington Post’s famous Peeps Diorama Contest. 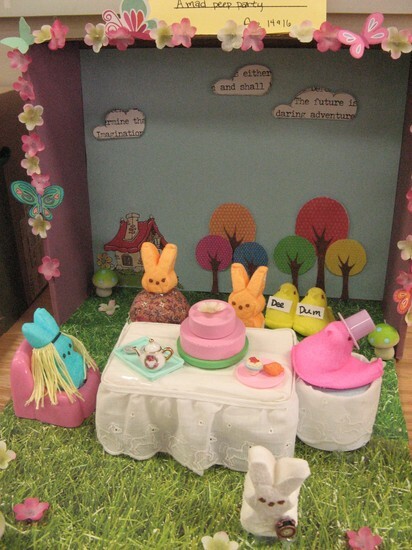 Patrons of all ages were invited to create a literary-themed diorama in a shoebox using Peeps brand marshmallow candy to depict a favorite character or scene from a book. This year MPL received 50 entries and awarded prizes in four age categories to winners of the Peeples Choice Award vote. 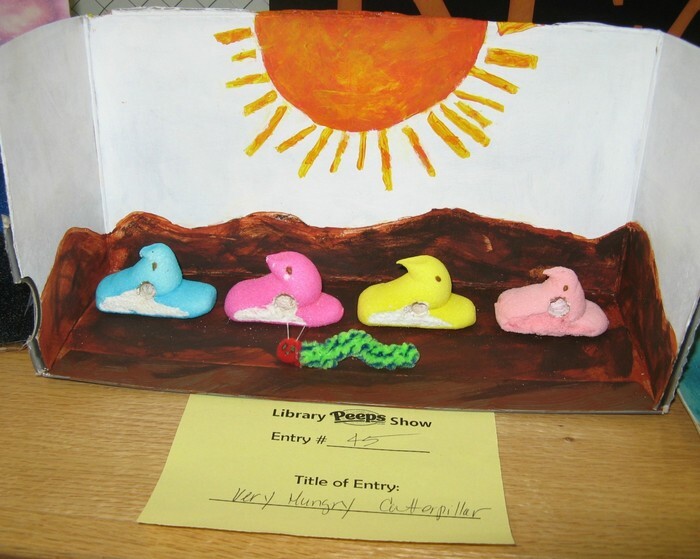 Winning entries included: “Doctor Peep”, “Harry Potter and the Deathly Peep”, “Harry Potter and the Sorcerer’s Peep”, and “James and the Giant Peep”. 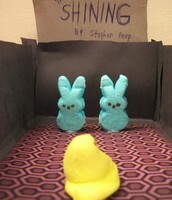 All entries can be viewed on MPL’s Peeps Show Pinterest page! Patrons and staff alike enjoyed the Peep Show and marveled at the creativity and effort that went into crafting each diorama. The contest also gained attention from the ALA Public Programs Office. MPL was invited to share how it hosted the Library Peep Show and submitted a ‘program model’ on ALA’s ProgrammingLibrarian.org. 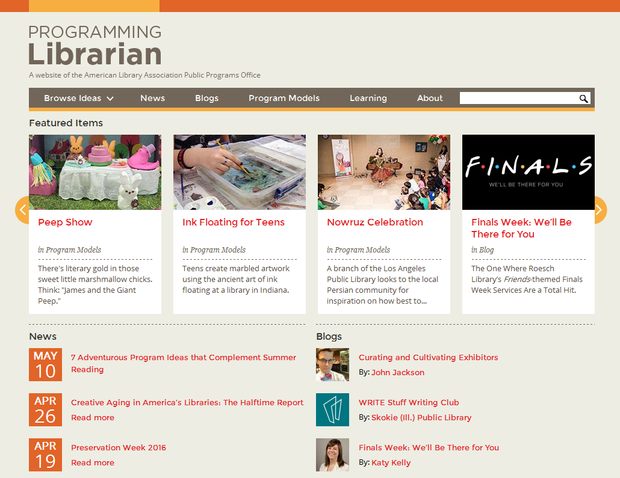 The website bills itself as a “place for library professionals to share, learn and be inspired to present excellent programming for their communities,” and acts as a kind of clearinghouse for library programming resources, ideas and professional development opportunities. It is well organized, offers program models for libraries of all types and allows for browsing based on program budget (including free), topic, age group, and more. For those interested hosting their own Library Peep Show or are involved with library programs in general, ProgrammingLibrarian.org is worth exploring and bookmarking. NOTE: MPL obtained permission to use the Peeps brand logo and images of Peeps brand candy on its website & marketing materials. The Americans with Disabilities Act was signed into law in 1990 and modelled after the Civil Rights Act to help ensure that all Americans were able “to participate in the mainstream of American life.” 1 The ADA does not contain a comprehensive list of all disabilities covered under the legislation; instead it covers individuals with physical or mental impairments that substantially limit one or more major life activities, a person with a history of such impairment, or a person who is perceived to have an impairment. Disabilities can be congenital or acquired, meaning they existed from birth or occurred later in life; they can be of a physical or a mental nature. Disabilities may be apparent to an outsider or completely unnoticeable. The variable presentation and perception of disabilities can be a cause of miscommunication when a patron approaches library staff. The American with Disabilities Act requires public entities to make reasonable modifications in their standard operations when needed to accommodate a patron with disabilities. Identifying an accommodation request may be difficult; the patron may approach you in a way that does not initially sound like a request relating to a disability. When a patron asks you to change your routine do not automatically answer, “No,” ask them why. You do not know if that patron has a disability. Other issues can occur during these requests as well. A patron may be frustrated when they approach you and make their request in an abrasive fashion, in this instance check your emotions and perhaps ask another staff member to step in and complete the transaction. A professional and courteous manner is paramount as the answers you give to patrons regarding their requests could potentially be used in court. The initial request by the patron should be given first consideration, but if necessary think outside of the box. Continue an interactive dialogue based on good faith to find a reasonable and effective solution for your patron. Every individual has different strengths and weaknesses, but the American Library Association mandates that “Libraries must not discriminate against individuals with disabilities and shall ensure that individuals with disabilities have equal access to library resources.” 2 The ALA lists examples of accommodations from extended loan periods to ensuring your programming is accessible for everyone by providing sign language interpreters or subtitles for films. We must look at each situation individually and respond with good intentions and an open mind, removing systematic barriers to create environment of learning for all. 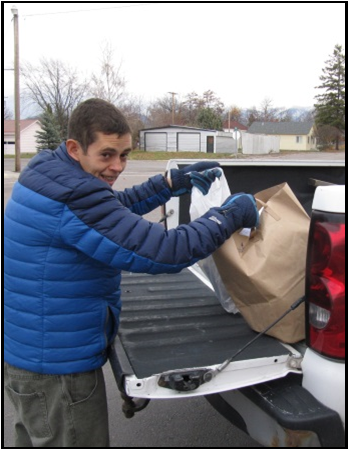 North Lake County Public Library in Polson is proud of its recycling program. The busy staff recycles everything from used-up batteries and bubble wrap to the usual excess magazines, cardboard, newspapers, plastics, aluminum and steel cans, phone books and office paper. That’s unusual in a small community where curbside recycling pickup is not available and most residents still “recycle” directly into the landfill. But North Lake County Public Library takes a different view of the issue. To solve the logistics, they have incorporated recycling into the job description of one part-time employee, Maclaen Burningham. Maclaen, along with his parents, Steve and Valerie Burningham, makes sure the recyclables are taken weekly to the area’s drop-off stations and sorted into the proper bins. Plastic grocery bags (those not used by patrons to carry home their books) are also dropped off at the appropriate recycling location. The same goes for toner cartridges. Clean, excess bubble wrap and packing materials (particularly Styrofoam pellets) are taken to a local shipping store, where they are gladly accepted and reused. The library staff has substantially reduced the number of unneeded catalogs received by calling each company and removing the library’s name from mailing lists. Recently, North Lake County Public Library added new books to its collection about the science and practice of recycling. After all, it’s only right for the library to blaze the trail toward a more responsible way to dispose of our community’s trash. 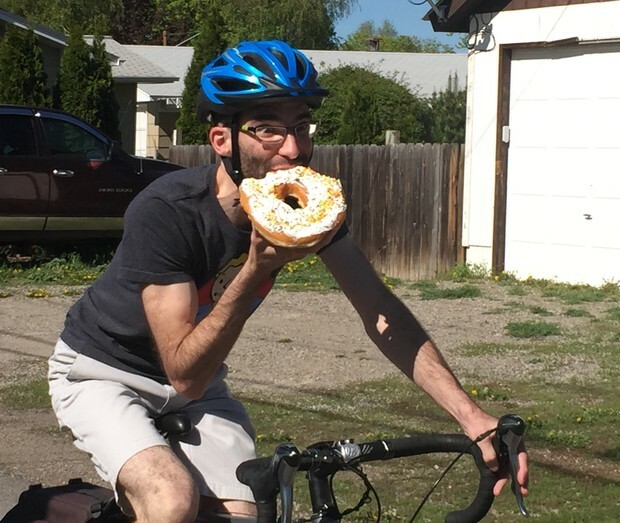 For the second year in a row, ImagineIF Libraries challenged workers across the Flathead to get to work by foot, bike, or public transportation throughout the month of May. With the impressive numbers of 6,000 miles commuted last year, we challenged the Flathead to beat those scores! Within the library itself, we made a personal challenge to beat our own scores of 864 miles, even if we weren’t competing for the prize. And then we were off! We at ImagineIF had a fun time challenging each other through both the sunny and the rainy days. The most fun, I believe, came from sharing this exciting challenge with the community. I told the details to a young teenager and she convinced her mom to commute with her. Later on that week, I saw the two biking to the store while sharing jokes. Not only does commuting save energy for the planet, but it also keeps our bodies healthy while giving our souls a chance to take in our surroundings and just enjoy the moment. May might be over but the challenge doesn’t have to end. While you go about your day today, note where and how you can exchange driving for a different kind of commute. Walk instead of driving short distances or bike to take in the landscapes we rush by every day. The April conference in Missoula was special—and not just because the individual presentations, panels, and other events were packed with insight, but because such a gathering of librarians offers a rare opportunity to reframe our work within the larger art of public service. 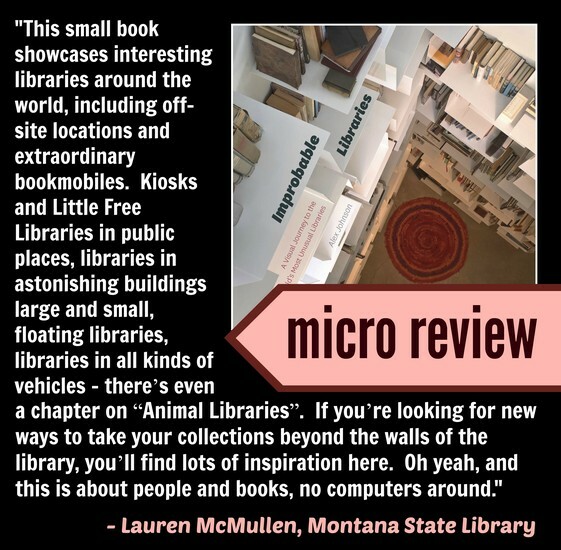 I love what I do, and I love it even more knowing that an energetic, diverse, and wise support network of Montana librarians is just a click or a call away. That conversations about everything from STEM programming to mentorship to resource stewardship to making libraries accessible to underserved populations are a constant feature of the landscape. That the challenges we face can be overcome. I am unbelievably lucky to have landed among you, and as summer begins—wild and woolly with programming—I’m excited to hear about all of your innovations, adaptations, and adventures. You got this, Montana. 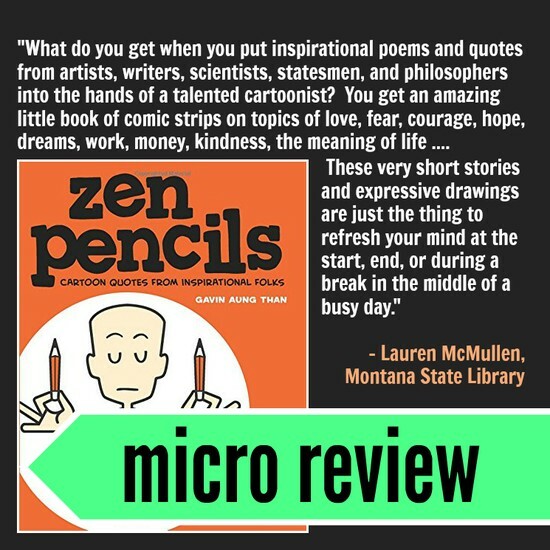 The FOCUS is an official publication of the Montana Library Association (MLA), and is published in collaboration with the members which it serves. You can look for new issues six times a year: in February, April, June, August, October, and December. 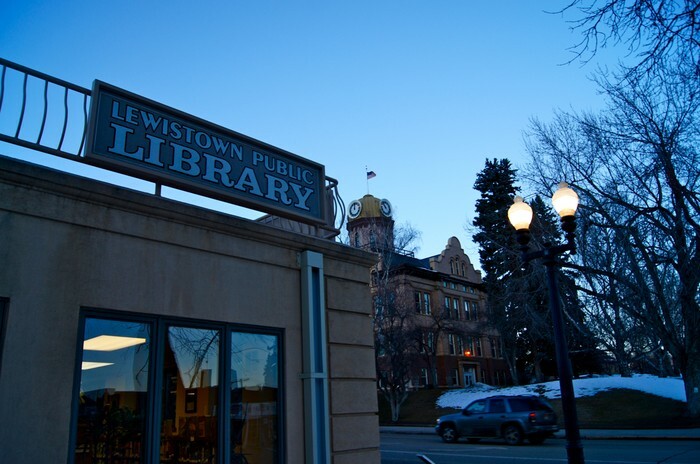 With an online readership of over 500, the newsletter works to reflect, inspire, and give voice to the vibrant communities that exist in and around Montana’s libraries.